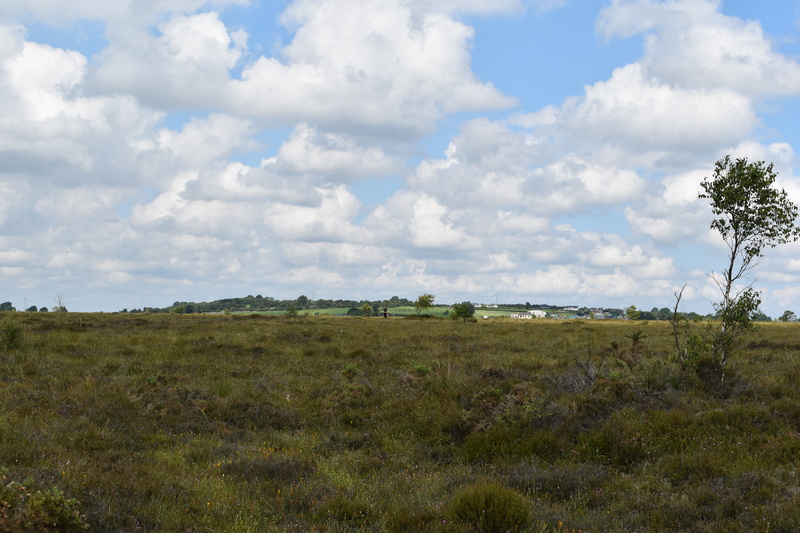 At present, there are no visitor facilities at Ferbane Bog. The bog itself is very dangerous to walk on and unsupervised visits are not encouraged or allowed. To arrange a visit to Ferbane Bog, please contact the LIFE office at 076 1002627 or via out CONTACTS page. Public access to state owned land can only be arranged this way. Open days, school tours as well as public walks and talks are planned on Ferbane in the future. 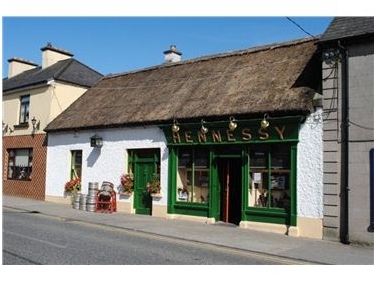 The landmark Hennessy’s in Ferbane town – over 150 years in business. 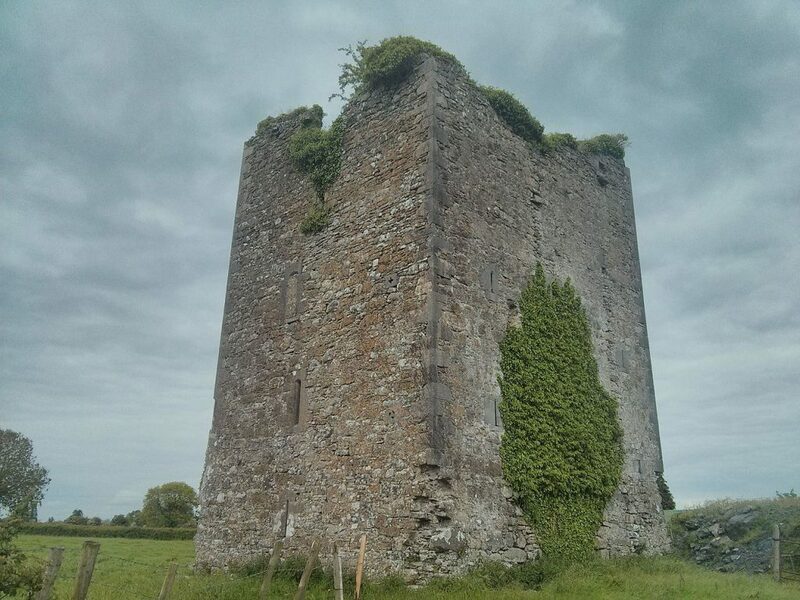 Ferbane itself is well worth a visit. Attractively sited on the River Brosna, Ferbane is a picturesque village, which has prospered from the surrounding activities on the boglands. 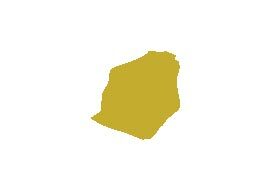 Steeped in bog heritage, the town’s name itself is said to come from the white bog cotton which grows on the bogs. 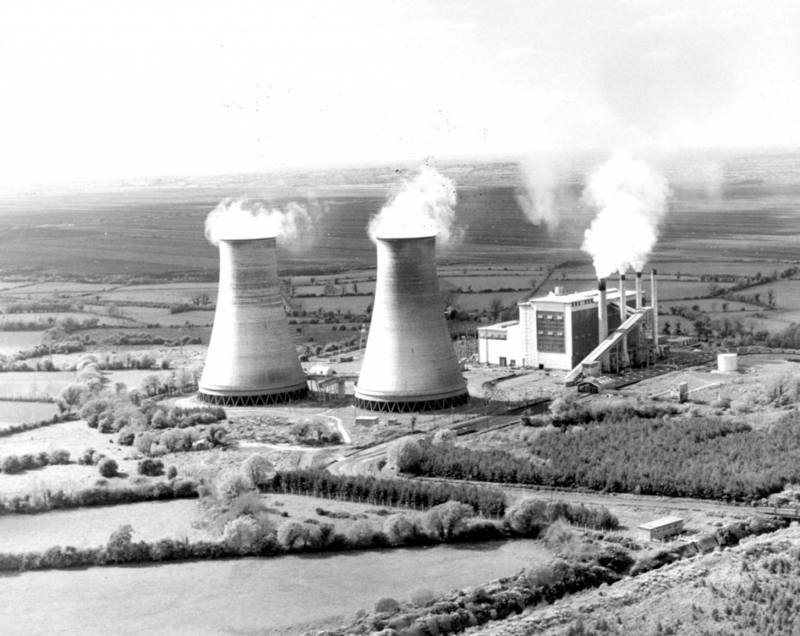 Ireland’s first milled-peat fired power station was commissioned by the Electricity Supply Board (ESB) at Ferbane in 1957. It was the first such power plant outside of the former U.S.S.R. Construction had begun in 1953. The total capacity of the Station was 90,000 kilowatts, and it was capable of producing about 400 million units of electricity a year. At its peak in the 1970s and 1980s, the station burned 2,000 tonnes of Irish peat daily, producing about 2 million units of electricity daily when its four units were at full load. Its two 80m high cooling water towers dominated the landscape, and through them, over 4 million gallons of water per hour was continuously circulated and cooled. Since the station’s closure in 2001, the Shannon Development agency and the ESB invested €1.4 million in the development of a new Business & Technology Park which opened in 2005.